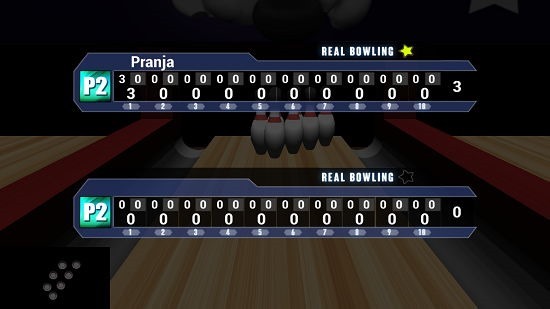 Real Bowling Star is a free bowling game for Windows 8 and 8.1 devices which makes for a good download on your machine if you are interested in bowling. When you launch the game on your device, you will be presented with a screen wherein you can start the game directly. 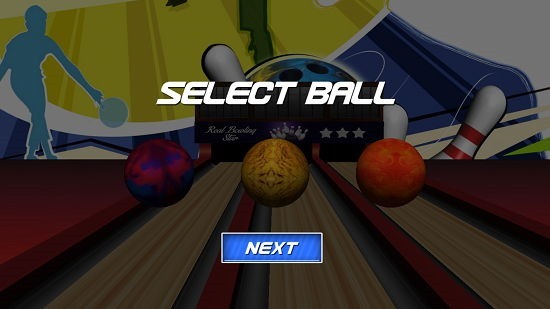 Upon choosing the option to Play the game on the main screen, you will be asked to select the bowling ball that you wish to use from a choice of 3 balls which will be presented on your screen. Upon making your selection, you will be asked to enter the player names, and the game allows you to play a two player game at once. You can then enter the player names in the text fields which will be presented on your screen, and now you will be taken to the gameplay screen itself where you can play by swiping or clicking and dragging your mouse over the ball. 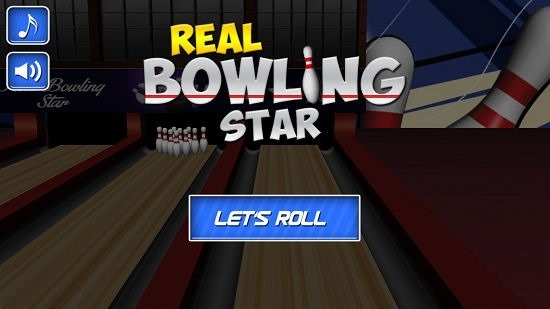 Real Bowling Star is available for free from the Windows App Store. When you install and run the game on your device, you will be taken to a screen which looks like the screenshot below. Just click on the Let’s Roll button at the center of the screen and you will be taken to the ball selection screen. You have an option to choose from three different balls, and all you have to do is to click on the ball that you desire to use for the gameplay, and then click on the Next button. Once that’s been done with, you will now be prompted to enter the player names. The game is a multiplayer game which allows two players to play at once on your device. Click on the Next button in the screen shown above, and then enter the 2nd player’s name as well. You can leave it blank if you want to. Once all of this setup has been done, you will now be briefly shown the controls of the game on your screen as a heads up to how the game works and functions. Click anywhere on the above prompt to be taken to the gameplay interface itself. You can roll by clicking and dragging, and swing by clicking and dragging in a zig zag motion as can be seen in the control screen above. Once you have taken a shot, you will be shown your scorecard. 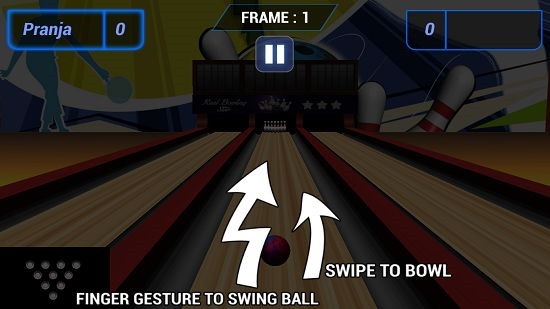 The standard rules of bowling apply to the game, and hence it’s easy for you to play the game if you already are aware of the rules of Bowling. This winds up the features of Real Bowling Star for Windows 8 and 8.1 devices. 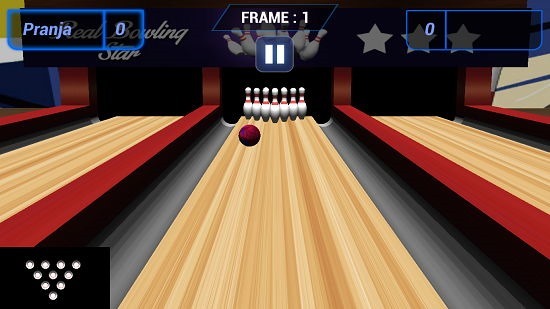 Real Bowling Star makes for a great download on devices running Windows 8 or 8.1, be them touch screen or non touch screen devices. The game even works great on devices with low specifications, and as a bonus it’s very lightweight for the graphics that it offers and completely ad-free as well! You can grab it for your machine by heading over to the link below.